Okay so apparently everyone in "Black America" has to make a decision as to whether it's time to forgive Chris Brown (really? I didn't get that memo? but I digress...). 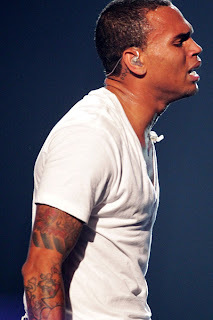 Personally, I am stating unequivocally that I DO NOT AND WILL NOT FORGIVE CHRIS BROWN...for now. I mean why are you rushing me? It's only been a year and change since he made her face look like she went 8 rounds with Floyd Mayweather! And furthermore, why do I have to at all? Is it a requirement for me to say, oh look, the guy looks sorry. He cried. He dances good too, look at those MJ moves! (see below) And so now I'm supposed to be like oh well, bygones, it's been over a year that's plenty of time, and he looks really sad, I forgive him. HELL NO!! This is so wrong I don't even know where to begin. First of all, Chris doesn't need OUR forgiveness. He needs to make peace with the God of his understanding, Rihanna (the victim of his CRIME which some (albeit far too few) men who can't afford Mark Geragos actually go to jail for), and his family. He will have to forgive himself eventually but this will only happen after hard work and intense psychological therapy. And to be fair, I don't know for a fact that it's not occurring as I write this post. What I do know, is that it's probably difficult to get the kind of help necessary to heal the kind of wounds and emotional scarring associated with being a child in an abusive home who grew up to be an abuser, all while prepping a new album with a batch of music videos for release only a few months after the reported incident. And this goes for Rihanna as well with regards to being a victim. You have to DEAL with your issues, you can't just push through be strong and move on to the next. (See: Ron Artest). All of this Chris Brown stuff just looks too contrived for me. It feels well...for lack of a better word...STAGED. And of course it is. Everything is these days. We live in a 24-hour cable news faux reality television twitter trending topic of the hour obsessed culture which is largely made up of fantastic half truths. We live in a world where only one cast member (Jennifer Williams) on a show titled "Basketball Wives" is actually married....to a basketball player...and he's retired. Huh? 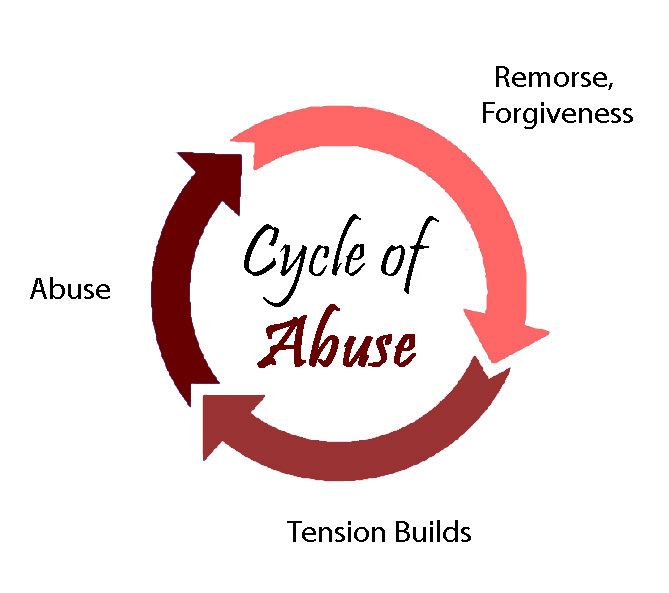 Second, and to get back to the seriousness of this particular situation, it is VERY important to note that domestic violence is a cycle. Um HELLOOOOOO! Why has no one mentioned the fact that this whole coming back and begging for forgiveness and yes, crying, is all part of the textbook cycle of domestic violence? Please someone out there tell me I'm not the only one who is thinking this! Am I the only person familiar with this diagram? I believe that we all deserve forgiveness for our sins. But I still think I should be allowed to remain skeptical of Chris Brown's transformation into a new changed man, until presented with further evidence that doesn't look like a publicist thought it up to improve his image with his young female fans. And that skepticism doesn't make me a "hater." I am allowing myself to be cynical just this once. This post is dedicated to all of the victims of domestic violence who suffer everyday and feel like they don't have a voice.